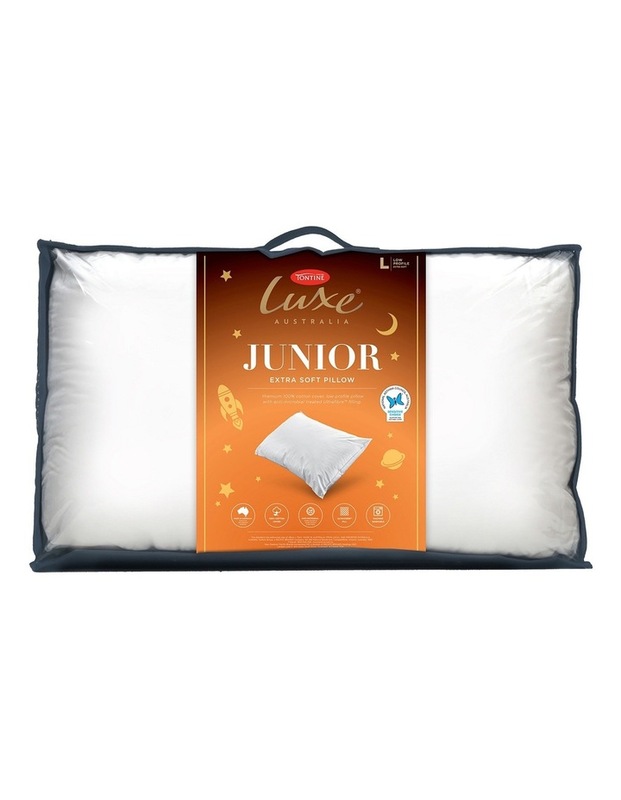 Tontine Luxe Junior Polyester Pillow has a natural cotton cover for breathability and freshness. Polyester Fill. Approved by National Asthma Council Australias Sensitive Choice program. AM treated for protection against bacteria, mould and dust mites. Machine washable. This pillow has an extra soft and low profile to suit the small frames of young children. Warm machine wash - gentle cycle. Do not bleach, soak or wring. Pull into shape while wet Dry flat. Dry thoroughly before reuse or storage. Do not tumble dry. Do not iron. Dry cleanable (P). Excess washing may affect the comfort of the product.